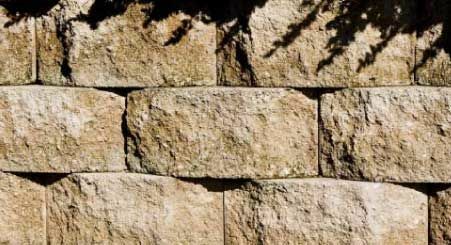 Natural Stonework Kitchener | Stonework | Canadian Landscaping & Stonework Inc.
For over 32 years, Canadian Landscaping & Stonework Inc has been accentuating our highly-satisfied clients’ homes beauty with custom-made natural and interlocking stonework. We utilize only the finest materials in the industry for our clients, in combination with our superior quality of handcraftsmanship and expertise. Let us help you express yourself and your homes’ overall beauty! Our commitment is to make our client’s visions become a reality. Every new project is fully customized to each client’s personal requests and special needs. Each project is uniquely handcrafted to perfection. Additionally, with our first access to the finest stone materials and products from the leading prominent suppliers in the industry, we insure you get the best possible quality and service. Our many years of expertise allows us to create one-of-a-kind designs specifically for our client’s home(s). 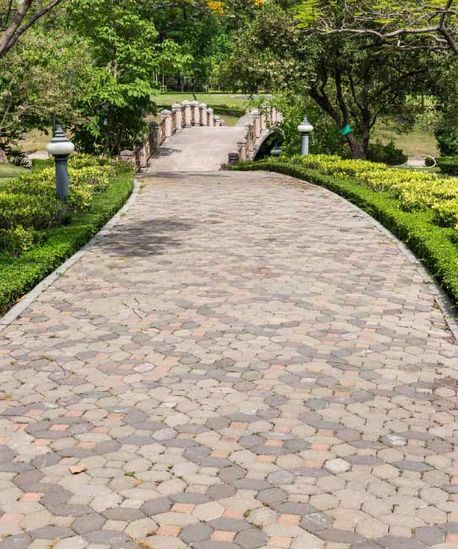 Our distinct and exceptional landscaping and stonework, handcrafted creations are industry leading, highly recommended and cannot be replicated. We look forward to custom designing and creating your dream project! Give us a call today or request a quote! 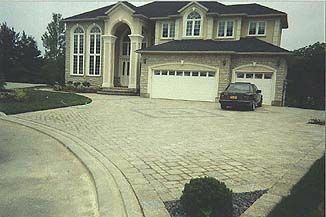 By using bricks or natural stones, we can create a beautiful, custom driveway for you. 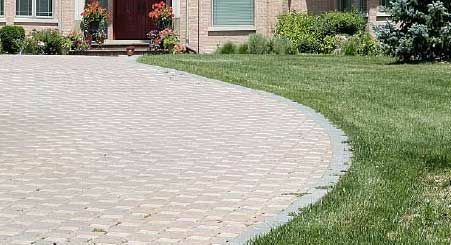 Let us know if there are any special features or borders/curbs you wish to highlight for your driveway and we’d be happy to work with you on designing that. 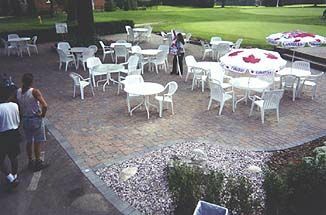 We can install patios and steps that look and feel great through stonework designs and materials that come in many different colours and shapes. 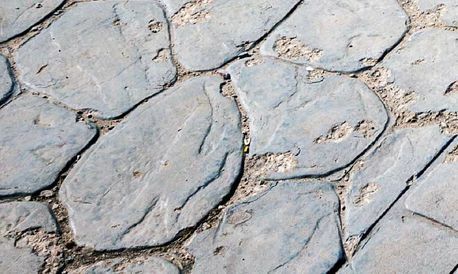 We can create a sophisticated and practical sidewalk or walkway leading up to your front steps, around the side of your house, through your garden, or for whatever you may need! 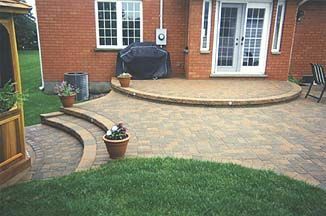 Emphasize your home with natural stone steps. 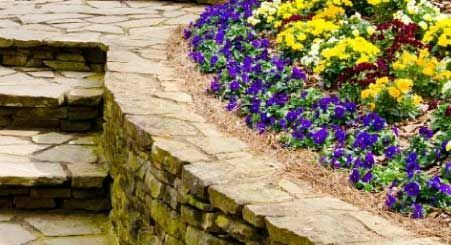 Protect your garden or lawn with a sturdy retaining wall that also complements your home and style. 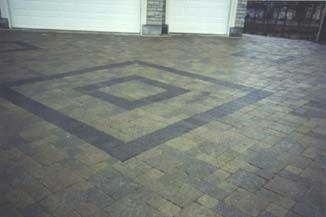 We customize natural or interlocking stones that accentuate your swimming pool area. We work with you to create your ideal vision of perfection. Looking for Professional Landscaping Services? 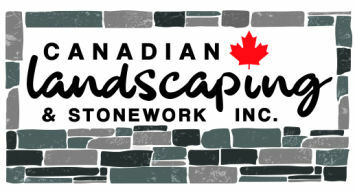 We provide residential landscaping including design and planning around your stonework.